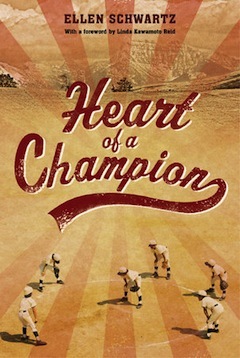 Historical fiction is a great way to learn about the past and, while aimed at younger readers, many an adult will enjoy and learn from Ellen Schwartz’s Heart of a Champion (Tundra Books). For Schwartz, a TV documentary led to her novel about the fictional Sakamoto family, set in the very real time when Japanese Canadians were interned during the Second World War. It was in watching this documentary that Schwartz first found out about the Asahi baseball team. In the author’s note, she explains that asahi means “morning sun.” The team was established in 1914, winning their first title in 1919, the Vancouver International League championship. They won the Pacific Northwest League championships every year from 1937 through 1941. After Japan attacked Pearl Harbor on Dec. 7, 1941, and declared war on Canada, the United States and the United Kingdom, writes Schwartz, “In Canada, Japanese Canadians were branded ‘enemy aliens’ and quickly lost their rights. The government, fearing that they would be loyal to Japan and would share war secrets with the enemy, took away their fishing boats, cars, radios and cameras. The Japanese were subject to a dusk-to-dawn curfew. In her research for the novel, Schwartz told the Independent, “I learned so much. In addition to the Asahis, I delved into the history of the Japanese-Canadian community in Vancouver and then in the internment camps. I hadn’t realized how established and prosperous the Japanese-Canadian community was in the pre-World War II years. Although there was a lot of discrimination – for example, Japanese Canadians didn’t have the vote, they were paid less than Caucasians for the same work and they often suffered racial slurs – these were middle-class families who were integrated into Canadian society. That’s why it was such a shock when they were uprooted and sent to internment camps in the Interior. In the novel, 10-year-old Kenny (Kenji in Japanese) aspires to be an Asahi like his older brother, star player Mickey (Mitsuo). However, Kenny has been diagnosed with a heart condition, which means he has to practise secretly, so as to not worry his parents. After the attack on Pearl Harbor, dreams of baseball are replaced with the nightmare of having to register as an enemy alien, of being subjected to a curfew, of having his father’s business closed, of his father being sent to a work camp and of being evacuated to an internment camp, only allowed to bring minimal belongings. In Kenny’s case, he, his mother, older brother and younger sister (Sally) are sent to New Denver, where Kenny and his mother manage to find the strength to inspire others in the camp to hope – and play baseball again. The Sakamotos’ neighbors, and dear friends, are the Bernsteins, who have two daughters, Susana and Brigitte (aka Gittie). This allows Schwartz to draw parallels between the treatment of Jews in Europe leading to the Holocaust and Japanese in Canada during the war. “I wanted to point out that the treatment of Japanese Canadians, although obviously not nearly as lethal or horrific, was comparable to that of Jews in Europe,” explained Schwartz. “In both cases, a minority was being persecuted simply because of their religion or nationality. Giving Kenny a Jewish best friend would make both characters sympathetic about this issue. Schwartz herself didn’t have a particularly religious childhood. “My mother was religious; my father wasn’t. We went to High Holiday services and that was about it,” she said. “But we lived with my grandparents when I was little, and my grandfather was observant and I adored him, so I grew up with a real fondness for Jewishness. I loved the family seders with everyone together and my grandfather chanting the Haggadah. I feel Jewish inside even though I’m not observant now. Schwartz hasn’t always been a writer. Schwartz teaches creative writing at Douglas College and she also works as a corporate and technical writer and editor, she said. “My husband and I own a small communications company called Polestar Communications. We do all kinds of writing and editing for public agencies and companies – reports, brochures, articles, educational material, technical material, web writing, etc. We also do marketing and organize events. That’s how I spend most of my writing time. On her website, Schwartz notes that she hasn’t even always wanted to be a writer. 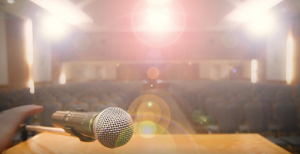 While her career path may have changed a few times, Schwartz said the process of getting an idea to publication hasn’t changed much since she published her first book more than 30 years ago. And she does more than that. Japanese Canadians were not allowed to return to the coast until 1949 and it wasn’t until 1988 that the Government of Canada formally apologized for the treatment of Japanese Canadians during the war. As for the Asahis, the team was inducted into the Canadian Baseball Hall of Fame in 2003 and into the B.C. Sports Hall of Fame in 2005; in 2008, the team was designated an Event of National Historical Significance. So, is the country in which we’re now living less, more or similarly susceptible to the factors that allowed the refusal of Jewish refugees fleeing the Holocaust and the internment of the Japanese, as but two extreme examples of the racism of those decades? Ellen Schwartz will be at Word Vancouver on Sept. 25, at the Vancouver International Writers’ Festival Oct. 18-23 and at the Calgary Jewish Book Festival Dec. 4-11. Previous Previous post: Can murder become extinct?